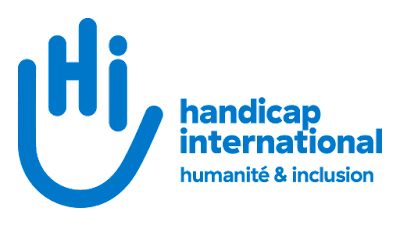 Humanity & Inclusion (HI) is an independent and impartial aid organisation working in situations of poverty and exclusion, conflict and disaster.. We work alongside people with disabilities and vulnerable populations, taking action and bearing witness in order to respond to their essential needs, improve their living conditions and promote respect for their dignity and fundamental rights. During the past seven years, Indonesia has expressed its commitment to enhance the rights and opportunities of persons with disabilities by ratifying the UNCRPD, and a vibrant national disability movement has emerged, demonstrating its capacities by providing recommendations to the government concerning legal reform, raising awareness amongst the general public in some areas and setting-up networks across the country. Still, there are important gaps between national commitments and local implementation in fulfilling these rights. Disability is not yet recognized as a significant and cross-cutting human rights issue in planning & budgeting processes, particularly at sub-national level and there is a lack of awareness from local decision makers and social service providers to develop inclusive initiatives and how to foster the participation of people with disabilities. Appropriate regulations at provincial and district-levels remain limited and enforcement mechanisms reflect the existing gaps between national and local levels in protecting the rights of persons with disabilities. HI has been present in NTT since 2010 and has since contributed to the disability movement through various projects designed to enhance participation of people with disabilities in various topics of the development process including inclusive disaster risk management, inclusive education, and inclusive planning and budgeting process. In the running project titled “Building Local Capacities and Alliances for Participatory, Inclusive and Open Public Finance Management Processes in Indonesia” funded by European Union which is the third year of implementation, HI will look at the dissemination, strengthening and monitoring of these initiatives in all target villages and in both Gunungkidul district and Kupang district. It will focus its scope of action on DPO/NGO collaboration and platforms, setting-up local UNCRPD monitoring mechanisms and the development of inclusive local development plans involving local DPOs, authorities and social services providers. It will also initiate immediate pilot actions supporting local service providers to better include people with disabilities, making sure that people with disabilities and their organizations are systematically involved in decision-making processes. The successful candidate is expected to start by mid June 2018 at the latest. Implements and facilitates the activities under HI responsibilities : assists and ensures local authorities at district/municipality and village level in implementing inclusive planning, budgeting and monitoring process, assists DPO and CSO to participate in planning and budgeting process, assists “Making it Work” committee in collecting good practice and uses them as an advocacy tools, maintains relationship with journalists to ensure excluded group’s participations in development are communicated to public through their journalists works. Supports Deputy Project Manager to continue building a good relationship with Local Authorities ( village until District/ municipality level), DPO / CSO and implementing partners. Conducts beneficiaries satisfaction survey in the end of the project. Works on project monitoring procedures including : data collection on beneficiaries, photo documentation of activities, follows up data related to achievement of result and objectives. Assesses, identifies and updates the situation in his/her targeted areas, including updating the DPOs, service providers, local NGOs, CSOs, resources persons. Monitors implementation of project by implementing partners (Bengkel Appek for NTT and IDEA and CIQAL for DIT) to ensure activities implemented by partners are in line with the frame of the project and HI project qualitative framework. Represents the project in front of local partners and authorities. Supports deputy project manager to provide data for monthly report and annual report. DUTY STATION: Project Officer will be based in Kupang with frequent travels to the sites. Humanity & Inclusion is an equal opportunity employer and particularly encourages women as well as persons with disabilities to apply. Only short listed candidates will be contacted. Residents of NTT province will be highly appreciated.